How do you teach Language Arts? One workbook / lesson plan for grammar? One workbook / lesson plan for handwriting? One workbook / lesson plan for spelling? One workbook / lesson plan for Literature Study? One workbook / lesson plan for creative writing? And..... then each workbook multiplied over for each year level! Bit by bit, we can load our kids with workbooks, worksheets and things to do because we are so anxious that our kids are missing out! I know the feeling. We want the best for our kids and we certainly want them to love literature and love learning.... but by adding more and more to the workload - we end up with an overly complicated to-do list. Is there a better, simpler approach? The word we're looking for is : Integration! What might an integrated Language Arts Lesson Plans look like? How will it work in a homeschool family? 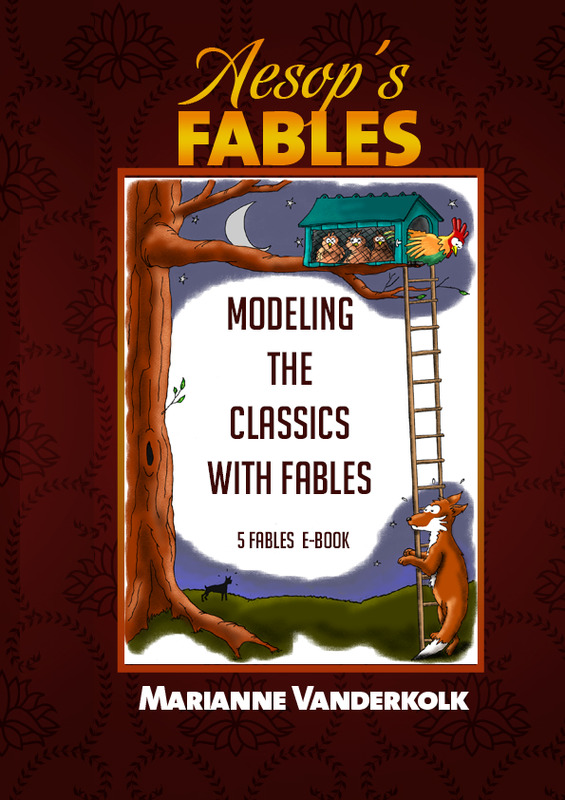 Modeling the Classics is a simple, integrated language arts approach using literature as the basis of language arts lesson Plans - one book for multi-ages covering all the language arts! One E-book with 200+ pages! It is not a fill-in-the-blanks workbook or a time-filler. 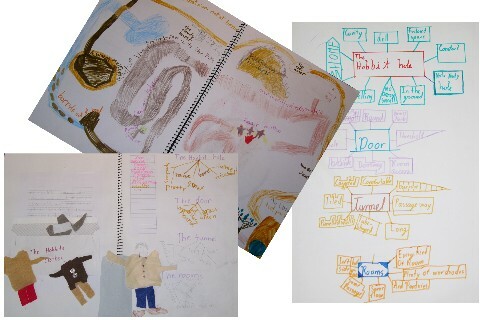 It is designed to enrich the child's literary appreciation of an excellent author, by studying the author's techniques and using them as a model for their own writing. Based around the classic children's book, "The Hobbit"
The Black Dacks make their stew. Burning hot ready to chew. Learning in the company of the great authors will inspire your children to imitate the techniques that these masters have used. What techniques did Mr Tolkien use to make that description so powerful? - Let's do that too! Why reinvent the wheel? To learn to paint well, we view and study the great Masters of the Renaissance; To write well, we view and study and imitate the great authors. This is the basis of these language arts lesson plans. 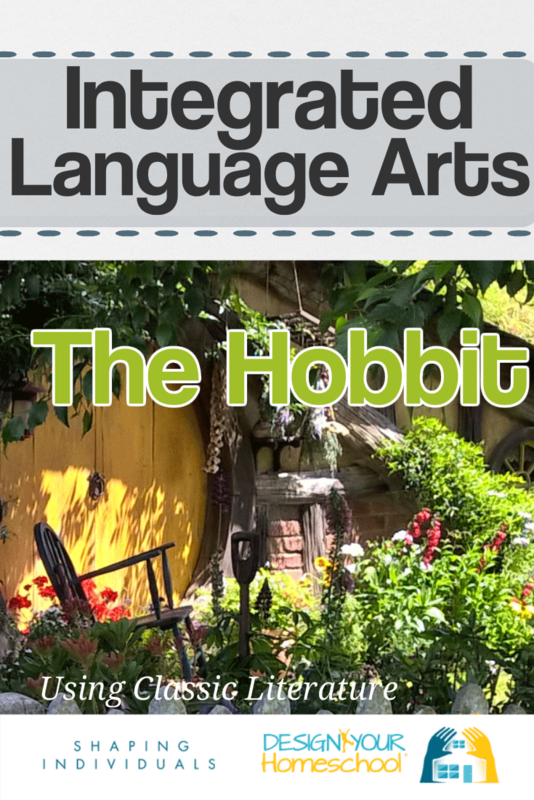 How do the Language Arts Lessons work with The Hobbit? 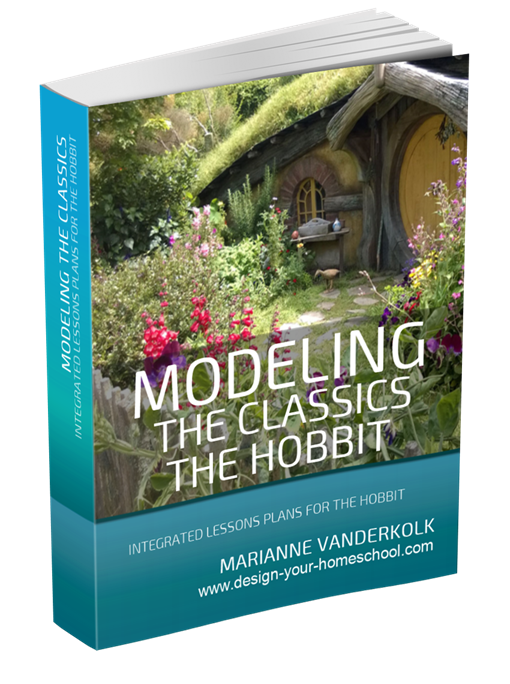 There are five lessons in Modeling the Classics, Language Arts Lessons from The Hobbit. 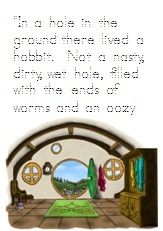 This ebook contains The Hobbit Lesson Plans covering all language arts for ages 7-15. Each lesson progresses through a ten day pattern. We begin with copying, then focus on the spelling and grammar of the passage, followed by dictation; next we turn our attention to the the writing techniques used by the author, then outline the model, work creatively with our own words, re-write and lastly, present the final copy. There is enough material in each lesson to be done over a 2 week period. However, there is no hurry. If your child needs more time take it; the program is very flexible. Overview of Language Arts Lesson Plans from The Hobbit. Making headings exciting without giving too much away. 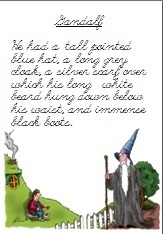 Identify the different parts of speech which Tolkien used to make the passage exciting and interesting. To model these sentence openings. Use sentences of differing lengths. Rhyming words - finding the rhyming words in the poem, Choosing your own rhyming words for your poem. Is it written for the student to do on his/her own? No. It is written in a way that you as a teacher would have it on your lap and teach directly from it, as you and your students enjoy, examine, learn from the passage together and model your writing on it. Is it a new approach? No. Copying, Dictation, learning spelling and grammar in context are techniques you will read about in the Charlotte Mason approach to learning. Also, I have gleaned wisdom from Ruth Beechick's wonderful writings. It's not a new approach; it is an approach that works because it is a natural way to learn. What ages does it cover? It is written across a wide age range from 7-15. There are 4 levels of spelling included. As a teacher, you would choose which level(s) the child would need to learn. The spelling is taken out of the passage being studied and the levels focus on different word families, phonograms and rules. The series covers a number of books, and so the vocabulary level differs accordingly. The Grammar being studied in context also covers a wide age range. The Grammar lesson is a progressive lesson which begins with easier concepts at first (such as nouns) and then becomes more difficult adding on other parts of speech. It is fine if your younger children join in the first part of the grammar lesson, and leave the rest for the older children. Be discerning and be happy to say, "This bit is too hard right now." When it was too hard for my seven year old, she happily cut out some hobbit's clothes and added to her Writing Treasure! The best creative writing my children have ever done has always come from the integrated language arts lessons by modeling. 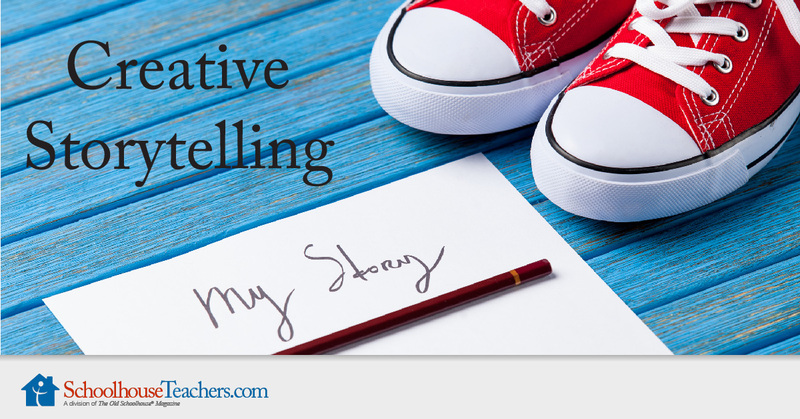 By doing this, they examine a wide range of writing styles, learn and apply various writing techniques such as descriptive writing, writing poetry, adding dialogue, examining a plot and creating their own story line. They are not burdened with a lack of writing ideas because their inspiration is in the story they have just loved listening to. They are bursting to use some of the techniques that one of their favourite authors also used. A fatigued and tired Duncan, arrived at the palace that evening where guards saluted him as he rode between them. A glorious meal awaited him as he gave his horse to the stable boy and went into the hall. Such food had he never seen before. Roast pig, chicken and lamb; but that was not all - fruits of all kinds. Macbeth must be very rich. When he had finished his magnificent meal, he came to the conclusion that he should retire to bed accompanied by two guards. Macbeth secretly caused them to drink a potion that would send them into a deep sleep. Modeled on Tales from Shakespeare by Charles and Mary Lamb. My reluctant writer jumps excitedly when I say it is time for them to write their story - it started out as a story and now they are writing a book! What about the child who hates to hold a pen? Remember.... where do all the ideas begin? In our minds and hearts. Do they love listening to a great book? Do they snuggle up and crave for more to be read? Do they shout out, "Don't stop now! You just can't stop now!"? If the mechanics are difficult right now for your child, step in and ask them to dictate their writing to you. Type it out for them, or work in partnership with them.- they write, then you write and so on. Word Family Charts; Spelling Study Spirals and more. 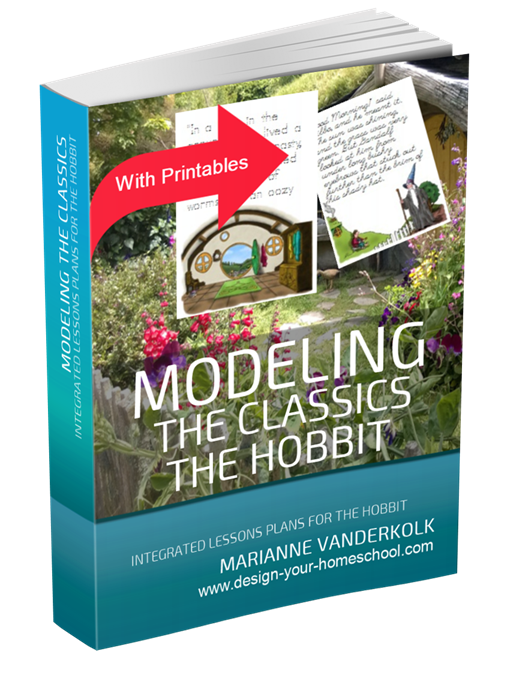 The Hobbit Illustrated Printable Ebook is an addition to Modeling the Classics and contains each of the passages from Modeling the Classics - Language Arts Lessons from The Hobbit. 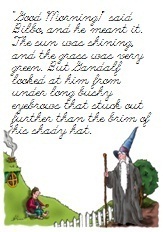 Although Modeling the Classics has handwriting pages, each passage in this ebook is illustrated by delightful borders. Then the passage is written in a printed-dotted format ready to be traced either in printing or in cursive. 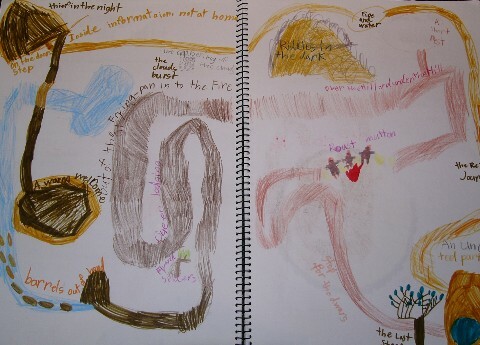 Each passage has blank pages with the coloured border and also with a black and white border which may be coloured by the child. The novel, "The Hobbit," must either be read or listened to in an audiobook version before you work through these language arts lesson plans. So, get rid of your pile of workbooks - and enter the world of literature! Curl up on the couch, read a great story to your children, enjoy the wonderful world of reading. Then, examine what made that book so wonderful, and use what you've learned in the model, to create your own models of literature. 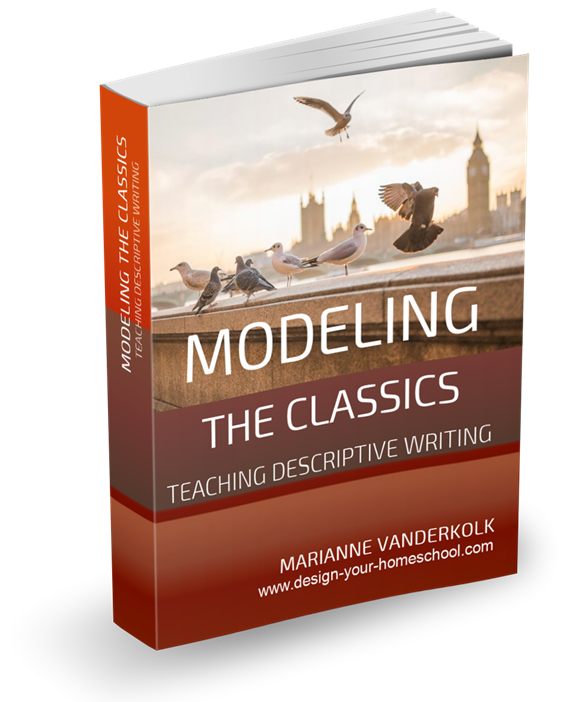 Enjoy learning from the best and modelling the classic authors and their styles! Can I promote Design-Your-Homeschool's Ebooks? Do you send out a Homeschooling newsletter or are a part of an email discussion group, Facebook, Twitter or have your own website or Homeschooling Blog? Find out and Join our Affiliate Program!